Thread: What handguard, grip, and stop are these? Like the title states I'm looking for this K handguard, vertical grip and hand stop. 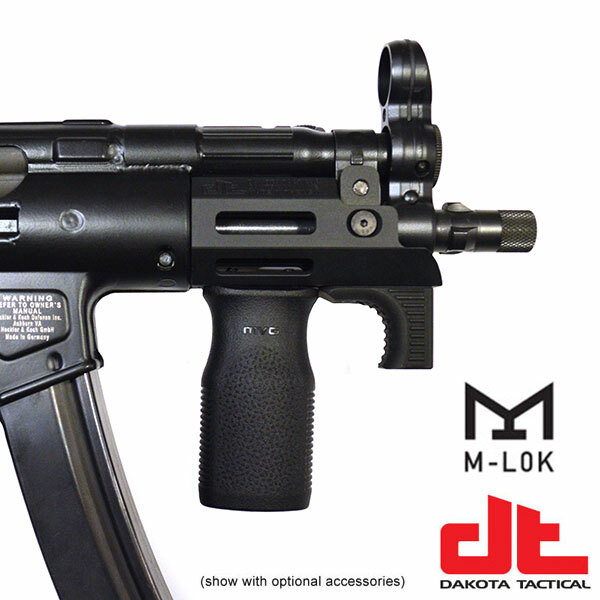 It appears to be the M-Lok K handguard but I can't find that M-Lok vertical grip on the DT store? Is this setup in stock? Awesome thanks. I wasn't sure what grip that was! Sorry for the late arrival. We are currently out of stock however HKParts.net has them. No worries I already bought them from you as a kit. However the ZeroBravo stop wasn't in the box. There was a note saying it ships separate direct from ZB but it's been almost a week since the kit came and the stop isn't here. When we are out of stock with the RHS, we have ZB drop ship them. Message me your invoice number and I will follow-up ASAP!